Meditation has become a sacred part of my morning ritual: I begin each and every day with an Oprah Winfrey and Deepak Chopra meditation, without fail! I love love love their 21 Day Meditation Experiences, and highly recommend them to anyone interested in meditation. And I’m delighted a new one began earlier this month: Become What You Believe! Oprah and Deepak share this beautiful gift with their growing worldwide community via a free online stream on their website or app, a few times a year. Each guided meditation is around 20 minutes long and has a theme: for Day 11 it’s Living From Your Core. Oprah kicks off each day with a beautiful and inspiring introduction and Deepak follows by sharing more practical tips and wisdom. 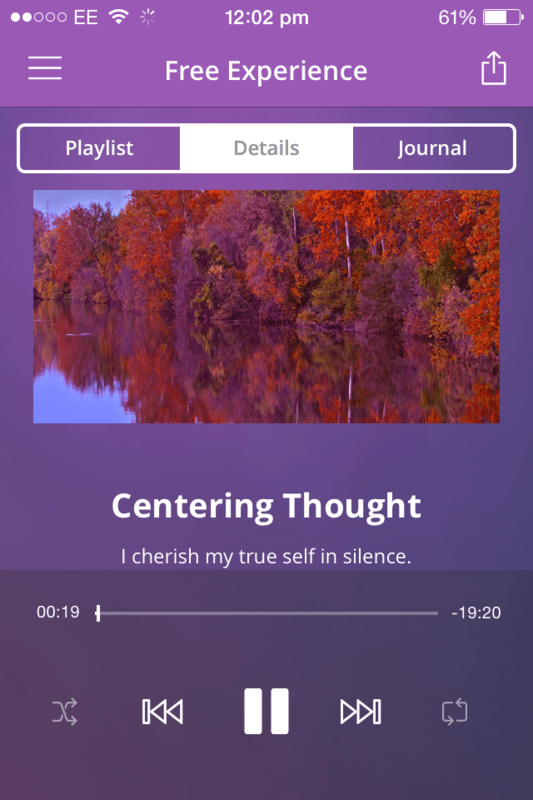 Deepak then introduces the day’s centering thought: I cherish my true self in silence is today’s, and the sanskrit mantra Sampriya Hum, which means I am perfect contentment. We are invited to silently repeat the mantra during the 10 minutes or so of unguided meditation time, accompanied by a gentle soundtrack. I’m deeply resonating with this experience. Our beliefs – conscious and unconscious – are constantly influencing our thoughts, feelings, and behaviour. And it’s encouraging me to be aware of, to think about, and to challenge my beliefs. I find these meditations such a beautiful, gentle and enriching way to start the day. And what’s extra special about joining the online streams is connecting with over a million like-minded souls around the world. So with this in mind, my happy for today is being grateful for Oprah and Deepak’s new 21 Meditation Experience.